The Mirror of Eternity series now has five books. It is an increasingly misnamed trilogy. The books are Stories from the Mirror of Eternity, Salt Wars, The Miranda Revolution, Mirror of Eternity 4 and now Domain of Dreams. Each book stands alone as a romp through the ideas of science fiction and time travel. The Mirror of Eternity is a computer simulation which enables the user to look backwards (and occasionally forwards) in time. It deals with the paradox of time travel. Although science categorically tells you that you cannot travel in time, in your dreams and reveries you can go to any place and any time. 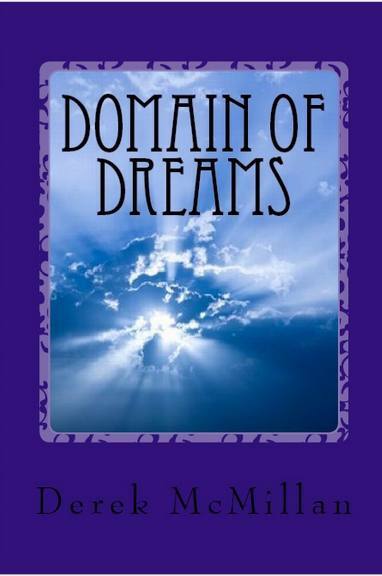 I think that Domain of Dreams takes full advantage of the possibilities of the Mirror of Eternity. Opinions differ as to whether it provides access to a parallel universe or its effects are simply an illusion. The main characters are Wolf-Dietrich von Raitenau, the Prince-Archbishop of Salzburg. Xavier Hollands, the eccentric technologist (he prefers that term to 'mad scientist'), his wife Tilly who shares the programming of the Mirror of Eternity and the narrator who has remained a shadowy figure in the previous four books. I started writing when I was ten but I have been able to devote the time to it since I retired 50 years later. I have learnt a lot in the last five years both about writing and about the market for books. I have had some success in selling my self-published books to libraries and bookshops but it has been an interesting challenge.